Since 1985 RTF Manufacturing has been ahead of the wave, innovating the best refrigeration solutions for the U.S. Navy, Coast Guard, Commercial Workboats and Leisure Vessels. 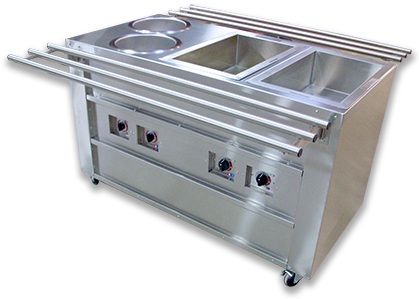 RTF Manufacturing Provides State-of-the-Art, Quality-Designed Refrigeration Equipment to the Marine Industry. 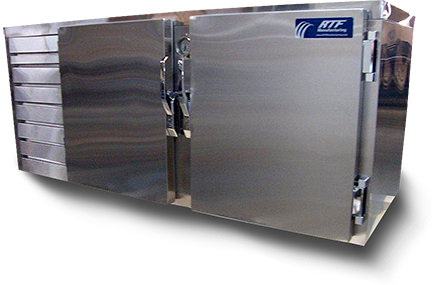 RTF refrigerators and freezers are designed using superior heavy gauge stainless steel interiors and exteriors, foamed in place CFC-free urethane insulation, fully hermetic compressors, extra heavy duty chrome plated two point hinges. Positive keyed locking handles provide the best door seal. All units are available in modular/hatchable construction. All units meet UL Standards for safety and performance. 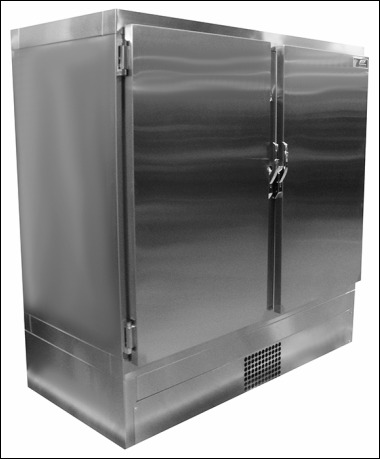 RTF refrigerators and freezers are engineered to the highest military specifications. Our continued commitment to the marine industry allows us to witness first hand some of the harshest conditions this equipment operates in and we are proud to say that we pass the test. 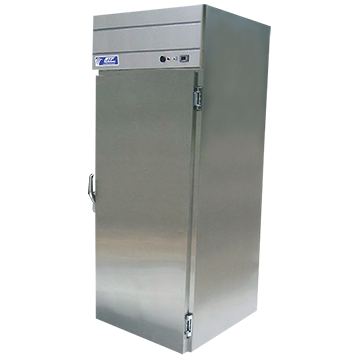 RTF refrigerators and freezers are available in a variety of sizes and styles, each built to the same exacting standards and quality. Our units are used on Navy Vessels, Coast Guard Vessels, Crew Off-Shore Supply Vessels, Container Ships, Push Boats, Fishing Vessels, and Jack-up Drill rigs. We maintain stock in many of our most popular models for immediate shipment. 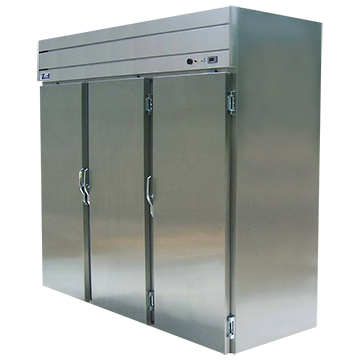 RTF can build or modify a refrigerator or freezer to fit your requirements. Our CAD drawing department will be happy to assist you in providing all the drawings for your next special project. 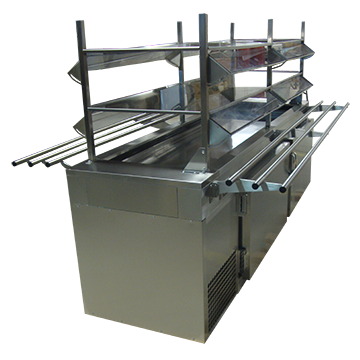 We deliver reliability, durability and quality at a competitive price. Have a question or problem? No problem! Call our toll free support hotline: 1-800-836-0744 and our engineering or service department will be happy to assist you. Our staff of highly qualified experts are available from 6:30 a.m. to 5:00 p.m. Eastern Standard Time. Experience the finest in technical support. RTF refrigerators and freezers are built using only the highest quality material and components. A network of wholesalers throughout the US and Canada means your motor or compressor can be replaced or repaired fast—with no need to go anywhere else. RTF offers the availability of modular construction to meet the needs of special installation challenges. Confined space and limited accessibility to doorways, hulls, bulkheads and decks is not a problem when installing our expertly engineered modular units. IDXIN® Vacuum Insulation Panel (VIP) is a new high-efficient ultra thin (8 to 30mm) thermal insulation material using the latest vacuum insulation technique. VIPs are manufactured by inserting a low thermal conductivity core material in a highly impermeable gas barrier which is evacuated and sealed. The result is a highly thermal insulation panel delivering ten fold the thermal performance and 25% energy savings compared to conventional insulation materials, while increasing the usable volume by 20%–30%. VIPs offer extremely low thermal conductivity (only 1/8 of PU), are not harmful to the environment and meet government regulations. RTF’s state-of-the-art, quality-designed refrigeration systems continue to provide a full line of reliable, efficient and environmentally safe products and now offer this additional superior insulation to their manufacturing process. Decrease your energy use and energy cost.